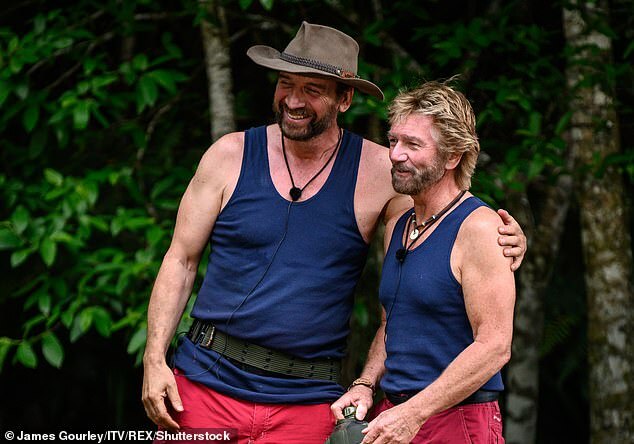 Noel Edmonds rowed with Nick Knowles in the I’m A Celebrity Jungle about evolution – but now says he was trying to ‘wind him up’. 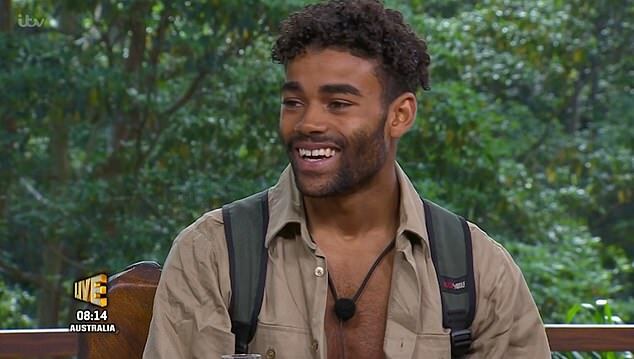 Hollyoaks actor, Malique Thompson Dwyer, claimed in an interview that during an explosive campfire clash Noel, 69, refused to accept Nick’s theory that humans originated from apes. But Noel told MailOnline that his comments about the birth of mankind were only meant as a joke. Noel Edmonds told Nick Knowles he doesn’t believe humans are descended from apes in scenes which were deleted by I’m A Celebrity bosses – but now says he was joking. Speaking to The Sun, Hollyoaks actor Malique, 20, said: ‘They were having these big disputes. They debated evolution, and Nick said we have all evolved from monkeys and I don’t think Noel believes it. According to Malique, I’m a Celebrity bosses edited out the scenes. According to Malique, Noel said Nick was ‘competitive’ and ‘on a mission to win it’. Father-of-one, Malique, said Nick was essential to the camp. Noel was the first star to be evicted from the I’m A Celebrity jungle. His departure came after he had battled for survival alongside campmates Harry Redknapp, James McVey, Rita Simons, Emily Atack and Anne Hegerty, with Dec and Holly first revealing he was in the bottom two with EastEnders star Rita. After watching his jungle highlights, Noel said that it looked like a different person in the clips, but admitted his jungle experience was in his ‘Noel’s 10 best bits’ throughout his life.